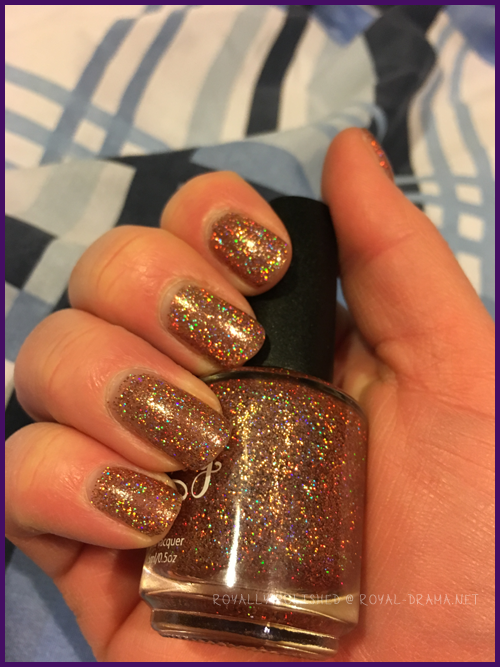 Note: I applied this polish on February 20th and took the photos on the same day. 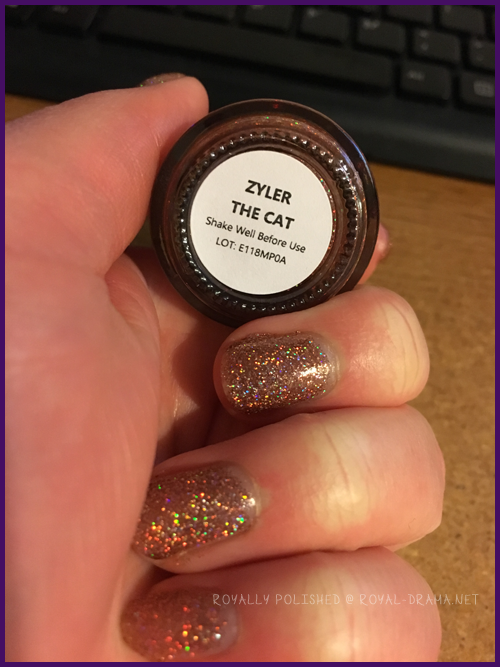 I had already reviewed Zyler's sister's nail polish (look for Menchie the cat a few posts down) and I kept this polish especially to wear for my birthday week (shout out to the late February babies!). 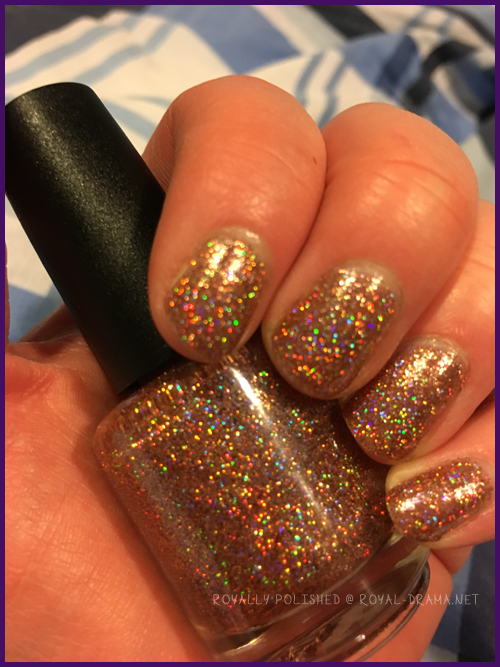 The holo is STRONG on this one and it is totally awesome. I really loved the gold tone to the polish color though the holo kind of overpowers it (no complaints here). I mean look at this blurry photo of the rainbows! The polish has a pretty clear base and once I figured that out, I started having Black Holo Witch flashbacks. I was in a lazy mood and didn't want to do the sponge on technique so I just ended up doing 3 thin coats. The 2nd coat looked pretty patchy so that is why I did the third. Also didn't look great around my tips even though I wrapped them which is where I think the sponging on could have helped but again, lazy. Overall I am giving this polish a 5 out of 6 stars. 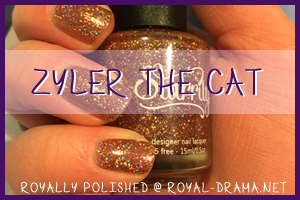 I didn't love it as much as I adored Menchie the cat but it is a fantastic polish and I highly recommend picking it up!